Staff were so attentive. Room was very big and comfortable. The grounds and views are amazing. Very helpful staff. Large garden room had plenty of space and was quiet. Monkeys nearby. Lovely and quiet up in the hills above Kandy - a 20 min taxi ride from station. Restaurant has a good range of meals. The property is fantastic! We stayed in a Garden Bunglow. The location is so peaceful and the swimming pool very nice. The food was great and the staff very friendly. We would stay there again if ever coming back to Kandy. Beautiful boutique 1930s bungalow in lovely grounds. Staff extremely helpful! Everything, perfect location in the mountains outside the city, great food and staff! 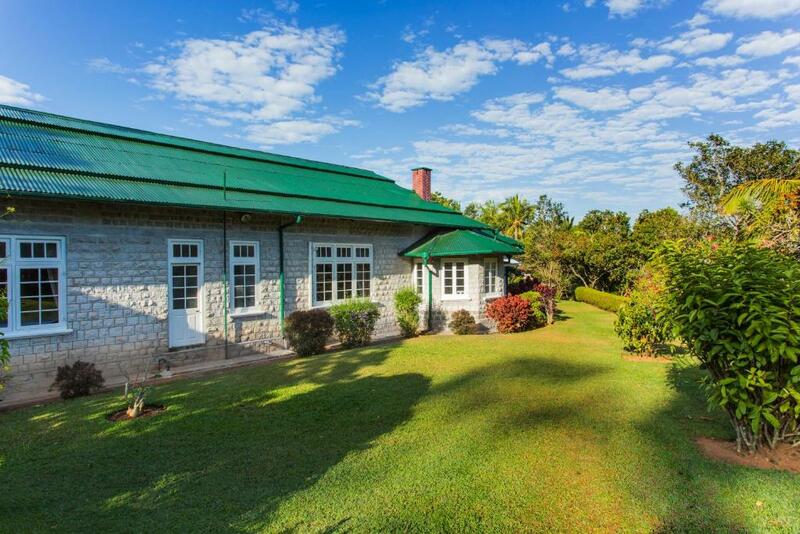 A perfect escape place, high in the mountains in a historic colonial setting! The Bungalows are cosy and very private. Beautiful garden and an infinity swimming pool to admire perfect sunsets above the mountains. Far away from the hustle and bustle from Kandy with great restaurant food..so no need to leave in the evening. 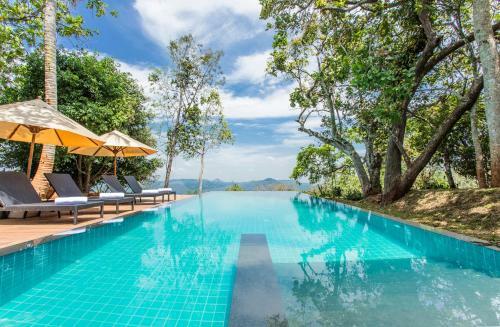 An amazing location on a hill overlooking Kandy and surrounding area, with lovely pool and garden to relax. The bungalow was lovely and the pool was amazing (although very cold), gardens immaculate and breakfast delicious. There are not many rooms so the service is very personal. Staff are attentive and always smiling. We also had dinner one night- the curry was great, there was around 10 different dishes so it was worth the money. 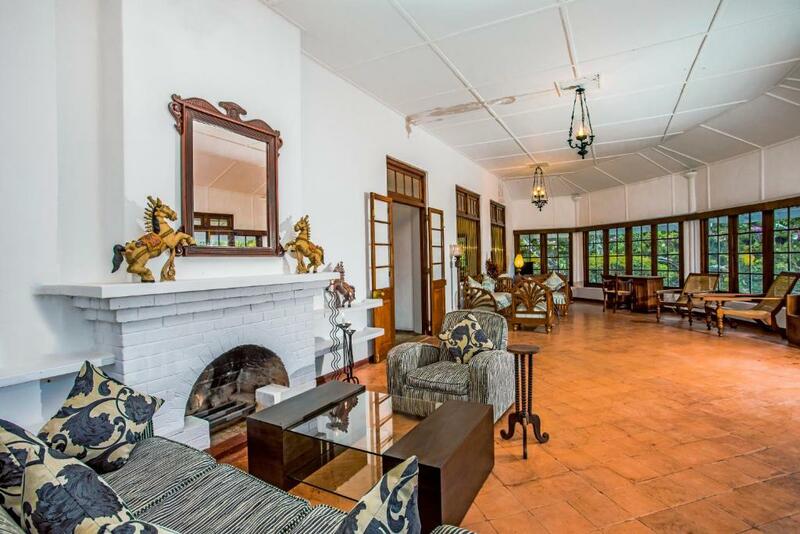 Lock in a great price for Mountbatten Bungalow - Kandy - rated 9.1 by recent guests. One of our bestsellers in Kandy! Located in Kandy, Mountbatten Bungalow - Kandy welcomes guests with an outdoor swimming pool and a spacious sun terrace. This self-catering accommodation also offers free WiFi access throughout the property. 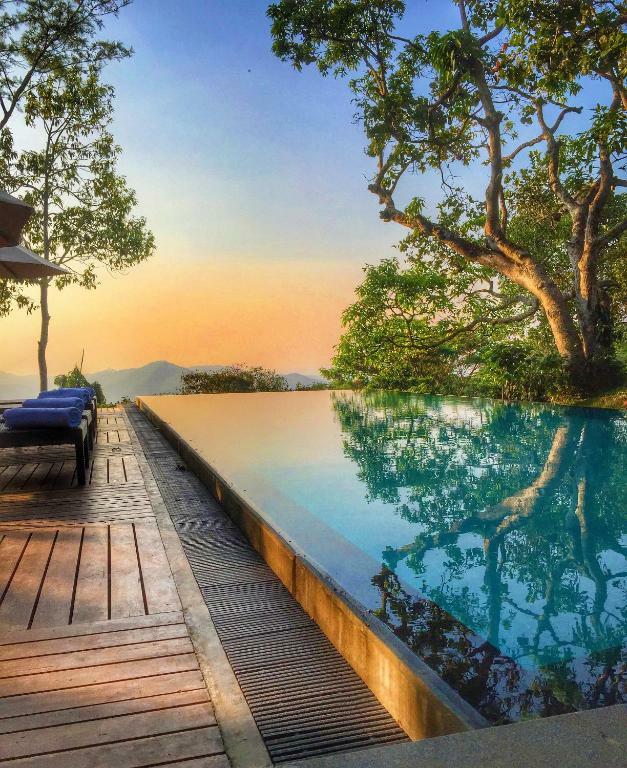 The villa is 2.4 miles away from Kandy Railway Station. You can also check out Ceylon Tea Museum, 1.1 miles away and Kandy's Royal Botanical Gardens, 1.9 miles way. Bandaranaike International Airport is located 50.3 miles from the property. Rooms are elegant featuring classic Sri Lankan-style decor and parquet flooring. All of the rooms come with a sofa seating area, a flat-screen TV and a minibar. 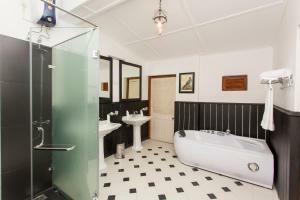 Stylish en suite bathrooms include a bathtub and a hairdryer. The warm and friendly staff at Mountbatten Bungalow's 24-hour front desk can assist you with laundry/ironing services and bicycle/car rentals. Rejuvenating spa treatments and traditional massages can be enjoyed on site. Airport transfers can be arranged for a small fee. In-room dining is possible and breakfast can be served in the room upon request. Guests can also utilize the barbeque facilities. Mountbatten Bungalow - Kandy has been welcoming Booking.com guests since 23 Apr 2014. 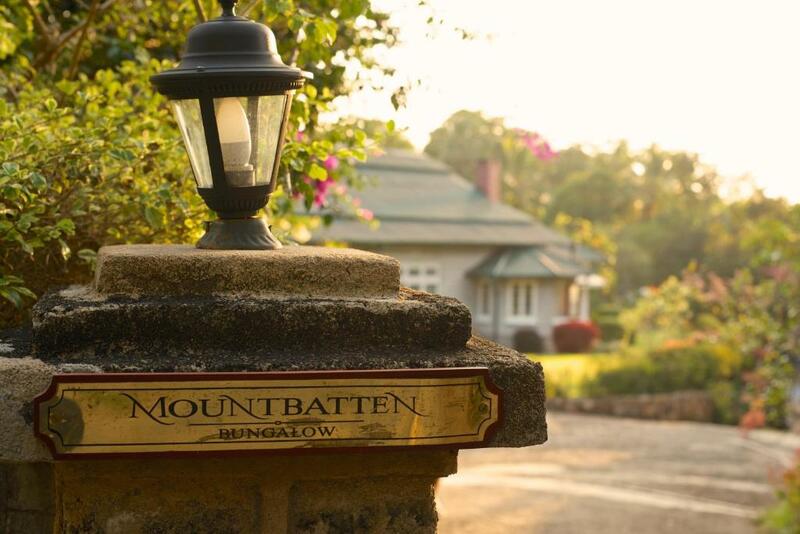 When would you like to stay at Mountbatten Bungalow - Kandy? Fitted with parquet flooring, this air-conditioned suite comes with a sofa, a minibar and an en suite bathroom with a bathtub. Featuring a terrace, larger air-conditioned suite comes with a sofa, minibar and en suite bathroom with spa bathtub. Artistically designed, this chalet has a sofa, seating area and satellite TV. Mountbatten Bungalow is one of the most spacious holiday bungalows in Kandy that offers 2 Suites and 4 Bungalow rooms.The rooms are spacious and exude a gentle nostalgia of days gone by. Hand embroidered pillows, muslin draped canopy four-posters and queen sized beds lend an old world charm to the spacious bed-chambers.These enormous rooms provide the ideal Kandy bungalow accommodation, beautifully fitted out in furnishings fitting the era. The cut and polished original cement floors are buffed to perfection.The spacious bathrooms colour scheme is suggestive of the late Victorian era. Both Suites as well as Bungalow Room bathrooms are, as per traditional Victorian style, painted in a monochrome colour scheme. The fittings are however, ultra-modern and luxurious; a cunning blend of old and new. House rules Mountbatten Bungalow - Kandy takes special requests - add in the next step! Mountbatten Bungalow - Kandy accepts these cards and reserves the right to temporarily hold an amount prior to arrival. 1. Very bad breakfast, my omelet was full of ants! ( i mean ants were cooked with eggs 😀) How they cook food?! How clean is the kitchen?!!! ( I attached a photo for my omelet). 2. Cold swimming pool: no heater for swimming pool. 3. Ants every where in room. 4. Wrong location in google maps , difficult to find the hotel. This is not 5 stars hotel! I can give it maximum 3 stars! Something wrong there!!! Also there is no good view from the hotel or from the swimming pool so there is nothing worth to go to this hotel! None to mention. But they have to upgrade their location in the direction map in booking.com, we got lost! The place was amazing. The pool was a must even though it was freezing! Amazing view! Good food. Staff are helpful and friendly! Lack of service due to lack of staff during our stay, service not consistent, service staff lack of manager guidance (can’t find the duty manager), never follow up whatever request by guests (we requested for afternoon tea, the staff said can be done, but have to check with the chef first, but never get back to us). Pool side no service, 1 day with pool towels provided another none. Suit room too close to the kitchen & laundry room, can hear noises from staff from 6.30am until 10.30pm. For 250USD per night, we really think they can do much more in the service for this beautiful property. Beautiful location, lovely pool, spacious room. Google maps indicates a fast access road which one can’t use. The hotel should mention to use the other road.